How To Design Your WHMCS Client Area for Web Hosting Business? How To Design Your WHMCS Client Area for Web Hosting Business? Solution is Here! Which business does not needs a website? The answer to this question is way difficult because every business from A to Z requires a business website to earn more business online. According to Blue Corona – “Email, website, and social media are the top three marketing tools used by small businesses today from which 54% of the businesses use email, 51% have a website, and 48% use social media”. Another study from Espresso shows that “75% of small business owners see internet marketing as an “effective” or “very effective” tool to attract new customers”. So it clearly shows the needs of a website for a small business. Here is a list of services a business website needs to run? Now when it comes to purchase a Domain and Hosting, a business owner requires a hosting selling company who provides best hosting services for his business website. Today, more than one million of web hosting providers are running, with a key motive to provide best web hosting solutions to their customers at best price. The competition among the hosting companies rise at this level that some companies have started selling hosting plans at very cheap prices no matter how is the security level of their servers. What makes a hosting company unique and best? In the modern world, UI/UX determines the level of any business and the same in web hosting industry. Since 2002, I am working as a solution architect of web hosting businesses. And in this complete journey I served many good clients with the best solutions that make them successful hosting providers in the industry. Thanks to WHMCS, which comes under the picture in 2005 to help resellers manage their hosting admin tasks with ease. Initially WHMCS actually offers an invoicing and technical support for the hosting providers. 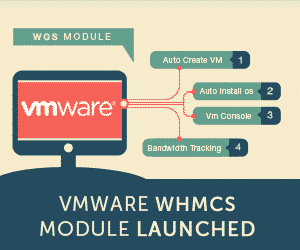 But a product has to grow with the market needs, so as WHMCS. WHMCS has now become an all in one Web Host Manager Complete solution. Now WHMCS supports multiple industries with a prime motive to improvise hosting experience with full client management. It has been estimated that WHMCS covers 90% of the websites that sells hosting solutions. Performing client support and and social media functions. 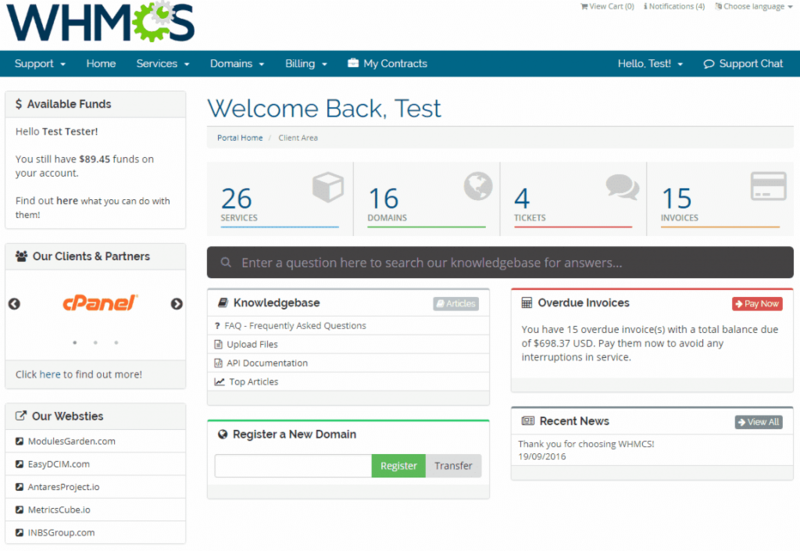 The main section of the WHMCS which still needs a lot of improvements is its client area, it is one of the most outdated section of this custom solution. Sorry to say, but it is true. Being a hosting solution expert, I am creating this guide to make the WHMCS client area to standout in the current hosting industry. The part that is missing in the default whmcs client area is its UI/UX. 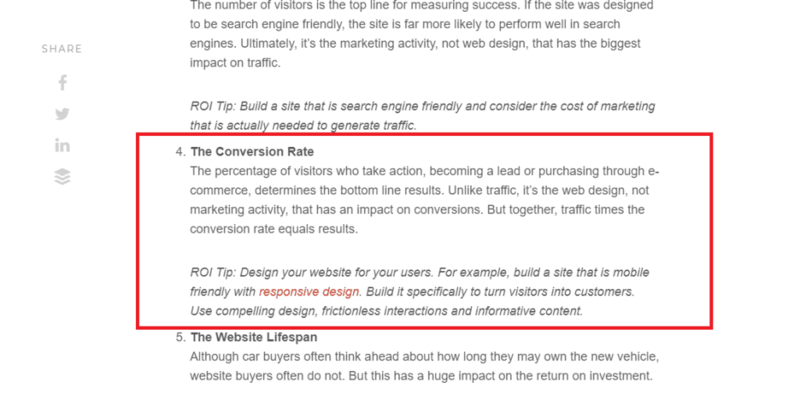 As we all know the importance of the design in improving the ROI of a business online so we can not ignore it all. According to Andy Crestodina, Co-Founder / Chief Marketing Officer of Orbit Media, design plays an important role in improving conversions. The current client area design of WHMCS is very basic and outdated. Not only the design, but it misses many UX features that could help your clients to manage things with ease. I will talk about them later in this blog. Keeping that in mind, we have launched multiple WHMCS client area themes that got a very good response from the market. Your clients must know each and every product or service in an elaborated way on the dashboard itself. Though it comes default in the whmcs client area, but it is very less visible and flexibility is far ahead. You need to show cross selling products on dashboard or internal client area pages, as you will open a chance for more sales. You can sell custom addons and other valuable services that are more likely to sell with your default products. This is the place of the client area which has the maximum bounce rates. I usually get custom request for creating custom order form templates for whmcs. It seems like we have created around 3000+ whmcs custom orderforms being associated with WHMCS Global Services. From all these requests the most common requests are to change the look and feel of the default whmcs client area order form. Some said, to restructure it completely. The other common thing was to reduce the checkout steps. How we managed with it? So, keeping all these requests in mind we have created a orderform solution for all whmcs users, i.e. ClientX, which has a custom order form template. The ClientX orderform template checkout process is now reduced to 3 steps with exceptional features to improve your conversions. We give your clients to manage their billing cycle right on the order form page, with an option to purchase addons with added custom options. Client area must have a technical live chat support that can help your clients to sort out small issues realtime, rather then generating tickets again and again. Another features that is missing in the default client area is account statement, every client needs to generate a ticket for the account statements to the admin, which increases the load on the admin to work on these useless tickets. So I would prefer to give client an option to generate and download the custom account statements anytime. Well, this is one of the most generated custom requests by WHMCS users. We daily get custom requests for this. I will not say that there is a need to have a similar header & footer in the client area as it is on front end website. But some consider it as important for a branding point of view. So, considering this we have added a unique option in one of our whmcs client area themes which allow users to add custom header and footer, or if they do not want they can add as many as custom menu options in the client area. So with this, we sorted out the need for all kind of users. Do you need a mobile app for your hosting business? This must be the first question you should ask yourself, before investing your funds to create master piece mobile app for your hosting business. How can this app will be useful for your business? If we talk about today, no one has time to go to their browsers and then enter a URL of their hosting provider and sign-in to access their products. A simple mobile app can does it all for your users, they can view the front end as well as manage their client area in a mobile app without any hassle. This can be a future feature for some of our products. So, these are my suggestions or views about how you can design your whmcs client area to deliver the best conversions. Also I will continue to add more and more upgrades in case I found something interesting to boost conversions. In case you would like to share your suggestions and views please share in comments.